The Guadalupe has the most outfitters in Texas. There are different, distinct areas of the river to tube — so don't just pull over at the first company you see. Do a little research here! We outfit in Gruene and take you up river. Many floats including the wild Hueco Falls. We also do rafts, both guided and un-guided. No cooler restrictions on some floats. Our professional staff will assist you to make your trip with Gruene River Company a pleasant and enjoyable one. 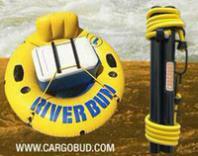 Kick back in a tube, raft, or inflatable kayak, for a relaxing, or an exciting trip. We offer 3 Float Trips to choose from! We are at the beginning of the famous “Horseshoe Loop” in Canyon Lake, TX. Bonus: New Braunfels Restrictions & Can Ban do not apply at Tube Haus! Any size cooler, your favorite music, disposable containers (Cans, Paper & Plastic), and favorite beverages, (Alcohol is legal). Coupons, Group & Military Discounts available. Open 7 Days a week thru September! Free Shuttle & Parking with rental. Just after the chute, they have a big party beach selling food and beer. Canoe trips in private areas. Pray for rain! Slow water makes for more rocks. Rafting trips become impossible. Check the river flow data before you go and know how your water sport trip will be.